Dr. Ogle is a board-certified Emergency Medicine physician and is currently balances clinical and academic responsibilities at The George Washington University School of Medicine and Health Sciences. She started her career in medicine with seven years as a registered nurse, nearly six of which were spent as a critical care RN. She then pursued her medical degree at GW and stayed to complete her residency training in Emergency Medicine, Ultrasound fellowship at GW and stayed on as faculty in 2013. 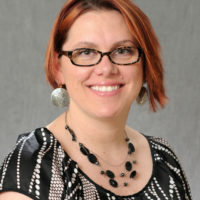 In 2014, she joined the 13th cohort of the Master Teacher Leadership Development Program at GW, which is an interdisciplinary, collaborative program furthering conceptual understanding and application of adult learning, curricular design, educational assessment, qualitative research as well as organizational development and leadership. She is an Assistant Professor of Emergency Medicine at the George Washington University School of Medicine & Health Sciences and the current Fellowship Director for Emergency Ultrasound. She also serves as the Director of the following: Medical Education and Leadership Scholarly Concentration at GW; Ultrasound Integration in Medical Education for the undergraduate medical students; Point-of-Care Ultrasound elective; Teaching and Learning Knowledge and Skills, a senior elective during which students learn concepts and tools which will facilitate their growth as clinician educators. Dr. Ogle's professional interests include emergency ultrasound, professional development and both undergraduate and graduate medical education, mentorship and wellness. She is also a proud single mother and lives in Virginia with her son.